January | 2015 | Tin Bird Productions Inc.
Test audiences have shown that people are more tolerant of bad picture than they are of bad audio. In most of our videos so far we have used music over our main wedding videos but now that we are getting more into videos incorporating voices (vows at a weddings, business owners talking about their products/services) we have decided to invest in some high quality sound gear! Our new wireless mic set by Sennheiser! 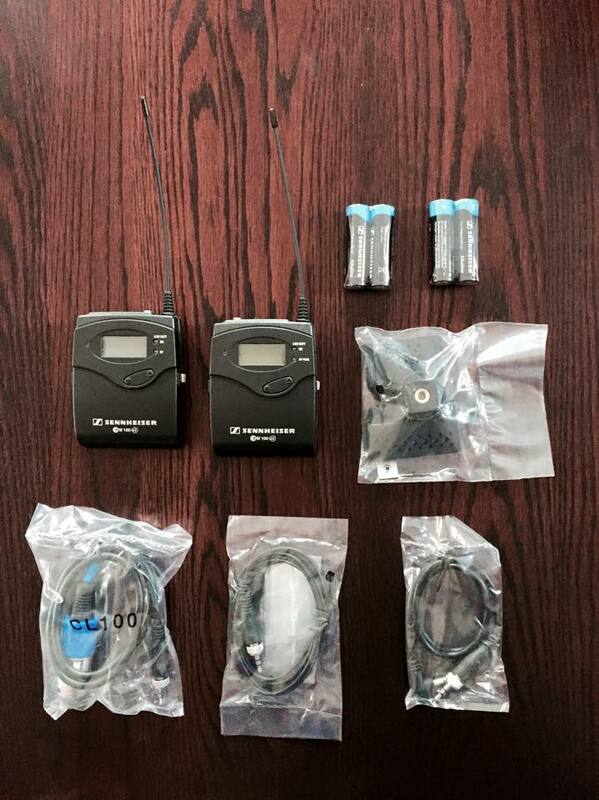 Today, our Sennheiser omnidirectional lavaliere wireless mic set arrived! Omnidirectional means it records from different directions instead of the typical narrow sound path of most mics and lavaliere just means that it is a small mic that can be easily clipped on to a surface on the body or hidden on a set. This microphone set is an amazing product and has had top reviews on video blogs all over the world. We are very excited to put it to use with our Zoom recorder to ensure the best sound for our videos whether it’s a wedding in a big open church, an employee talking about the business they work in or an interview of a relative at a family reunion. Stay tuned for videos that incorporate our new sound system! Here is our latest video, we love the natural light in this video! Exciting!! We’re going to be using this for the Devotion and the Ultimate Wedding Show as well as any other events we attend this year. Price Breakdown of our Packages – What are you paying for? What exactly are you paying for? It’s important to know the answer to this when paying for anything at all, so here is a list of what is factored in when pricing our packages. Experience & Training: Experience and training go a long way. Things can (and do) go wrong when filming so it is best to have a professional that knows what he/she is doing when shooting your wedding. Hiring someone that has gone to film school and has worked in the film or wedding industry can go a long way. We had paid a lot of money for our training in film at the Prague Film School (one of Europe’s leading film schools) and are better off for it. Creative Eye & Talent: When you pick a videographer you are paying for his/her unique creative eye and talent. This has to do with the product of what you are buying. If you wanted to you could certainly ask a member or a friend to film your wedding and you are free to do that but you are missing out on something we as a company hold in high regard and that is our talent. Video isn’t just about stacking a camera on a tripod and pressing record. We consider lighting, framing, angles, movement, emotion, sequencing, transitions and even who or what should be filmed at a specific time. We love what we do and it shows in our work and we are constantly working to better ourselves as videographers by being dedicated and innovative with our projects. Time: This encompasses all pre production, shooting and post production. Post production in particular is a very lengthy and tedious process. Let’s just start by saying that this is no iMovie editing software and video editing is very different from photo editing. Little is known about editing video by those that don’t do it so it’s hard for people to know what exactly they pay for int the post production of a video. Editing video is extremely time consuming. For weddings, we have to watch all the footage gathered from a 12 or 14-hour day which can take anywhere from 3-10 hours depending on the number of cameras and the amount of footage we have shot. This footage must then be sorted and transcoded so that it can be imported into an editing program (this can take over 5-8 hours alone). The footage is then imported into the program and is then edited into multiple videos. The editing itself can be quite time consuming especially with sound editing. The sound must be synced from the external mic to the video and then each cut made will often needs its own sound adjusting as well as smoothing out between cuts so that there is not static sound between them. These videos are then exported (this can take anywhere from 10-40 mins per video (1 speech = 1 video), and then they are each transcoded which can take from 20 mins per video to an hour depending on the length. Finally, the videos are uploaded onto Google Drive to give them to our clients (or another medium) which can take another 20-50 mins per video. The whole process can take a while. So for a wedding video it is typically 4-5 days of straight post production and editing plus the 12-hour day of shooting. As you can see, time is definitely a factor in our prices as you are paying for a full week of work by a professional in the wedding and film industry. Depreciation on Equipment: Camera equipment and Editing Software are very expensive and they both depreciate with time. For example, all cameras have a lifespan and their internal monitors can collect more dust with age which can show of on video and be VERY difficult to remove. It’s best to ensure you are using equipment that is top of the line at all times. The body of a “cheap” professional camera runs around $3,500 alone. Lenses are also costly, our cheapest lens is around $1,000 and our most expensive is $2,500. Batteries and memory cars which are $40-$150 each also depreciate. There are also steady cams (~$600 each), sound equipment ($1000 for a basic set of one wireless mic and a receiver), tripods ($200), sliders ($200) and many other items that all add up to the value of our equipment. Most videographers also use their own cars to get around on the wedding day and there is certainly depreciation on a car the more you drive it (especially on our roads in Newfoundland). Professionalism: Unlike the “Creative Eye & Talent” listed above, this is the service aspect of hiring a videographer. You will be spending your entire day with this person, he/she will be around your entire friends and family and will be working with the photographers to ensure both of them get the shots they need. Professionalism is HUGE in this regard. You need someone you get along with that will work well with others and strive to do the best they can to give you their best work. 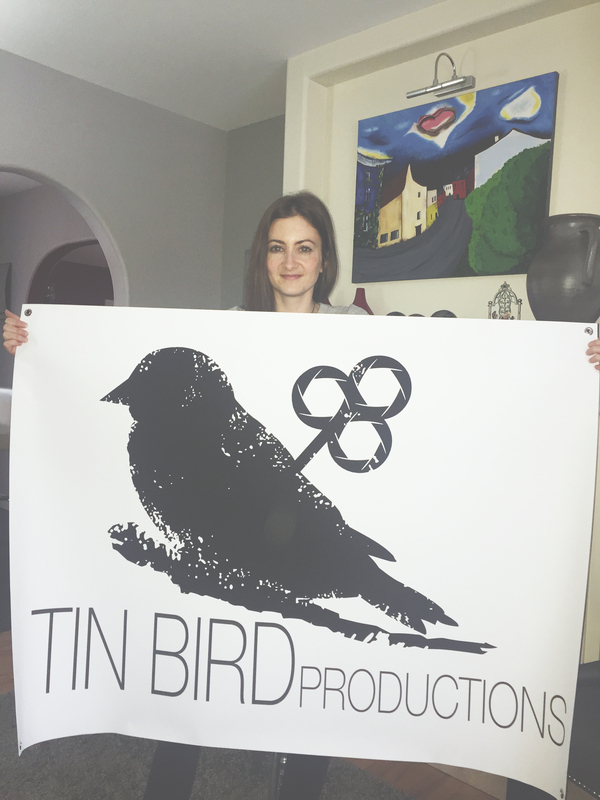 Costs of running a business (taxes, advertising, editing software, travel, storage space, time): Like any other business, we have costs associated in the day-to-day running of Tin Bird Productions Inc. We pay taxes, we spend money in advertising and will continue to do so in the future. Also editing software is very expensive and must be kept up to date. Data is also factored into our prices as we typically use just under a Terabyte of raw footage per wedding. Travel is also factored into our cost. We typically meet with clients before the wedding, we go to the rehearsal, then on the day of the wedding we travel around the city and sometimes outside of it for the ceremony, photos and reception. Sometimes we also pick up and drop off drives for our bigger packages that can’t be transferred online. We also spend a fair bit of time meeting and communicating with our clients as well as updating our website, Facebook Page and blog. All of these things are considered when building our packages and deciding prices. Here is a little promo video of some of our favourite shots of 2014, enjoy! Enter to win a FREE Save the Date Video!! We are happy to announce that we will be offering Save the Date Videos now and we want to give our first one away to YOU for free! Anyone is eligible to win, you can enter for yourself and your fiancé or another engaged couple you know. Just Like our Facebook Page and share our post and you’re done! The winner will be announced on Friday, Jan 23, 2015 which is exactly 2 weeks from today. Good luck and don’t miss out on this great opportunity! !